“Beware of the void” (could have also been translated as "mind the gap") takes its name from the phrase that can be read on a signboard placed at a construction site in Mardin’s Yenisehir (newcity) district, cautioning passers-by against a gigantic hole in the ground. In time, through an artistic research process (or through life itself) this phrase, finding its reflection as a feeling of loss on a personal level, starts to correspond to various forms of “gaps” in social, historical, political, economic, cultural, artistic and architectural scale. 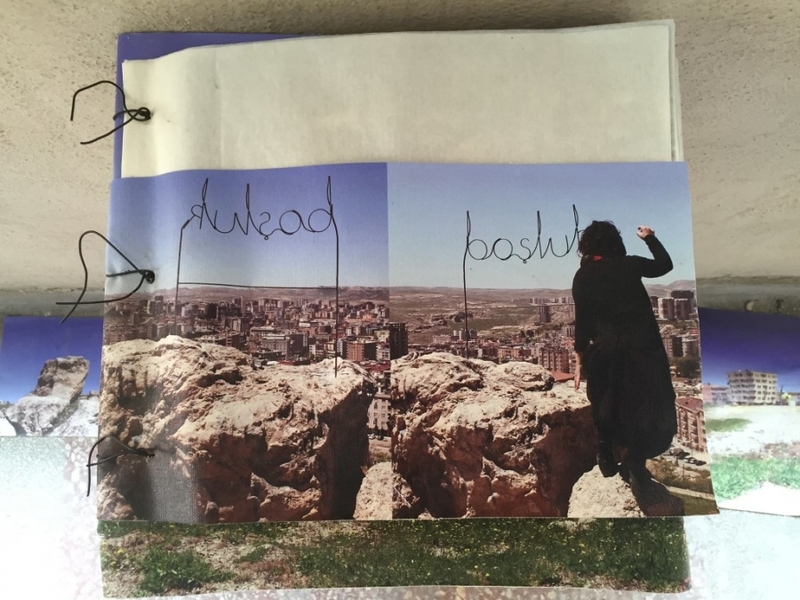 “Beware of the Void” is an installation and artist's book that traces a particular feeling triggered by the experience of being at a particular place. (I had felt the presence of the void; yet had not named it. 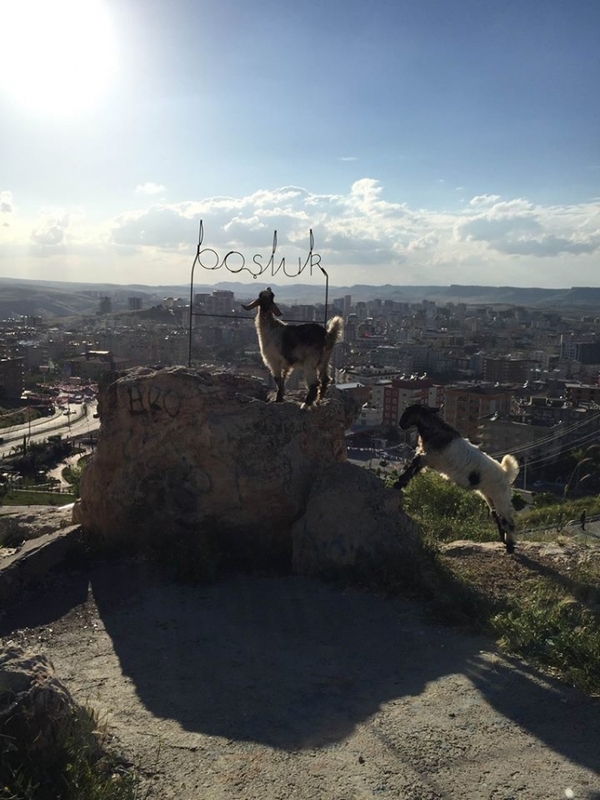 Upon arriving at the newly constructed part of Mardin and upon encountering a sign, i named it: DİKKAT BOŞLUK VAR. Translating it into English is tricky. One could have translated as MIND THE GAP, which I also do sometimes. However, BEWARE OF THE VOID is a better translation to transfer the feeling. Between an ironic text besed encounter and an almost terrifying feeling, I went after the voids in Mardin. I especially favor the book. he first page starts with NEEDLE LACE flowers held together by a metal pin. Aysel Abla, the maker of the lace, has to "balance the holes" every time she constructs a flower. Forceful displacements of Armenians in historical Mardin leave behind a heavy feeling of loss. However, various voids lack a certain address; they are full of memories of unresolved past and present uncertainities.